Are you ready for the Apple’s bigger, stronger and sleek iPhone? Yes, I am talking about iPhone XS Max or iPhone Ten X Max. It’s an interesting latest device from Apple, especially for iPhone fans. iPhone 10 X Max has a huge 6.5-inch screen along with a strong battery life and many other interesting features that every Apple lover wants. Some of its features are dual-SIM support, an enhanced camera for better captures, a super strong and fast A12 Bionic processor and a massive internal storage of 512GB etc. The back if iPhone XS Max is slight, with the elegantly placed vertical dual camera. The screen glass is not Gorilla Glass, but it is still “most durable” and feels awesome to the touch. Also, the metal frame of iPhone Ten S Max feels high-end. Measures of iPhone XS Max are 157.5 x 77.4 x 7.7mm, which makes it similar to the Samsung Galaxy Note 9, which has measures of 161.9 x 76.4 x 8.8mm. It is also heavier than Galaxy Note 9 because it is a heavy phone with a weight of 208 Grams because Samsung’s phone has a weight of 202 grams. It is the bigger phone from the Apple family and I am sure you will not be able to operate it with a single hand. It is not only bigger in size but also has new features and ultimate performance. 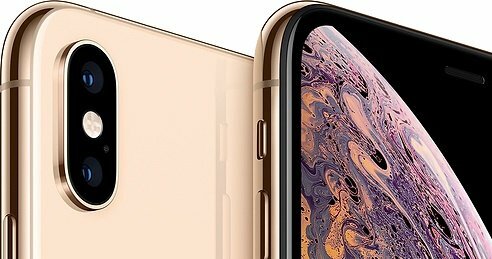 There is nothing wrong to say that iPhone XS Max looks like a bigger and heavy device than the old iPhones but you’ll be enjoyably surprised when it will be on your hands to touch, tap and operate. Apple has made unbelievable improvements in the hardware and software of its latest iPhone. Hence, the camera on the back of iPhone XS Max has similar appearance to its old iPhone X (which is discontinued by the Apple) with a dual lens setup. No doubt the camera structure and spec (12MP) is same like iPhone X, but the pixel size of the camera has now been enhanced to 1.4um on the wide-angle camera in this new Apple iPhone to provide Apple users an amazing. The secondary camera is also fixed at the level of 2x zoom with an f/2.4 orifice and OIS to take brighter and clearer captures. The Camera software of iPhone XS Max has been improved with smart mode HDR with zero shutter pauses. It allows the users to capture multiple images on the same time by teaming the camera sensor with the artificial intelligence neural processing unit and then select & combine the best captures from each frame to make a perfectly exposed photo at the end. 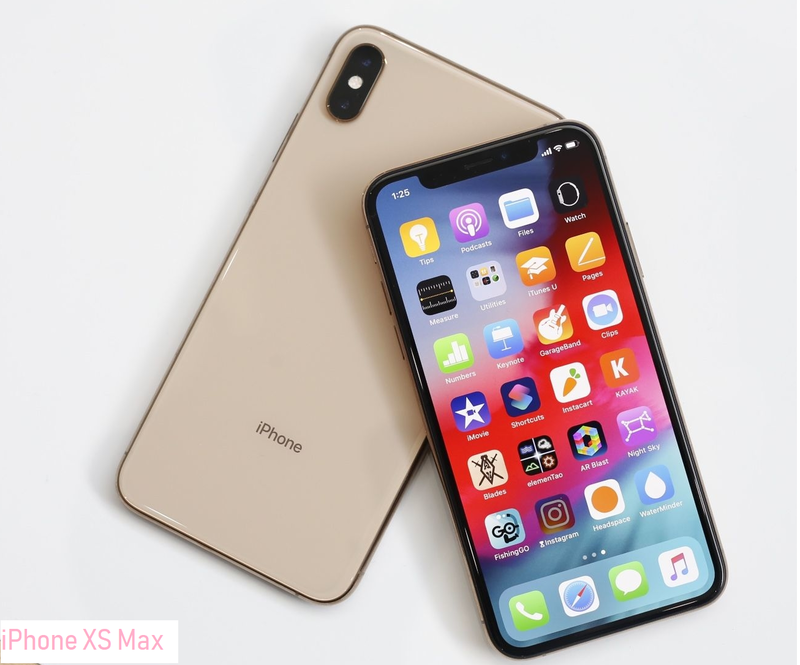 iPhone Ten S Max is a superb device for Apple users because it is integrated with iOS 12 and bringing with it a range of new features to grab the attention of more iPhone users to spend their money on buying the year’s best iPhone. Due to the larger size and screen, Apple has brought the Plus interface to its new iPhone XS Max. It brings spilt screen in most of its native apps like Contacts. When a user will browse internet on the new Apple’s device, it will show an enhanced tablet view instead of mobile view to improve the internet experience ultimately. 4GB of RAM offers seamless performance and Apple’s new iPhone XS Max is available with three different internal storage options 64 GB, 256 GB and 512 GB. There is no extra slot for SD card in this device because it has great memory that allows users to store their personal and private files easily without using an external storage solution. iPhone XS Max not only bigger in size or screen but it also has a strong battery life and the company is promising with its users that they will be able to use an extra 90 minutes of powerful battery life over its recent iPhone X. Which means Apple users can use this amazing phone for an extra 1 and half hour without getting to the charger for charging. It is not only bigger in size but you will also need to spend some more bucks to get this device because the price of iPhone XS Max starts at $1,100 which is huge. The price of your selected device would be different based on the model selected with different storage options. Pre-ordering is now on the way and the iPhone XS Max will be available for sale on September 21.